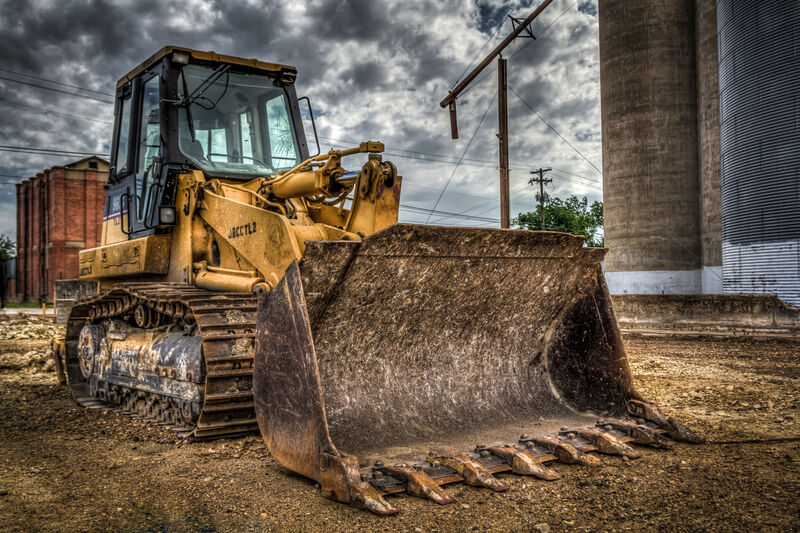 A front-end loader found at a McKinney, Texas construction site. 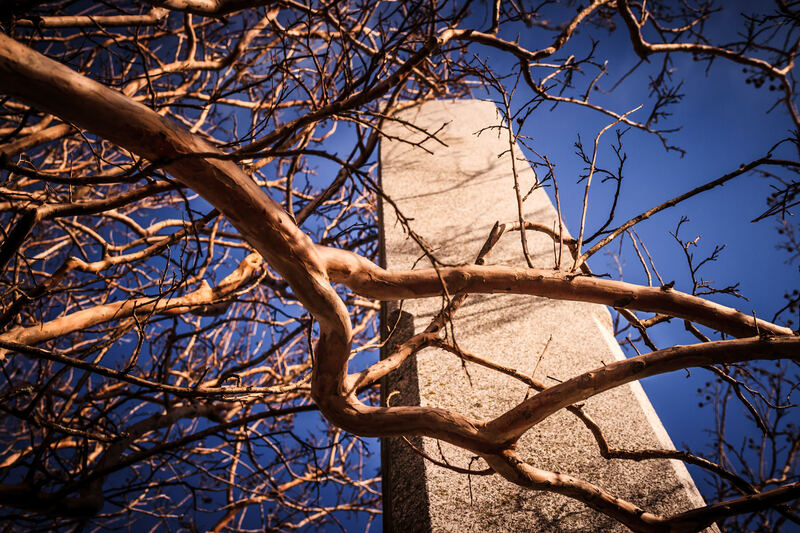 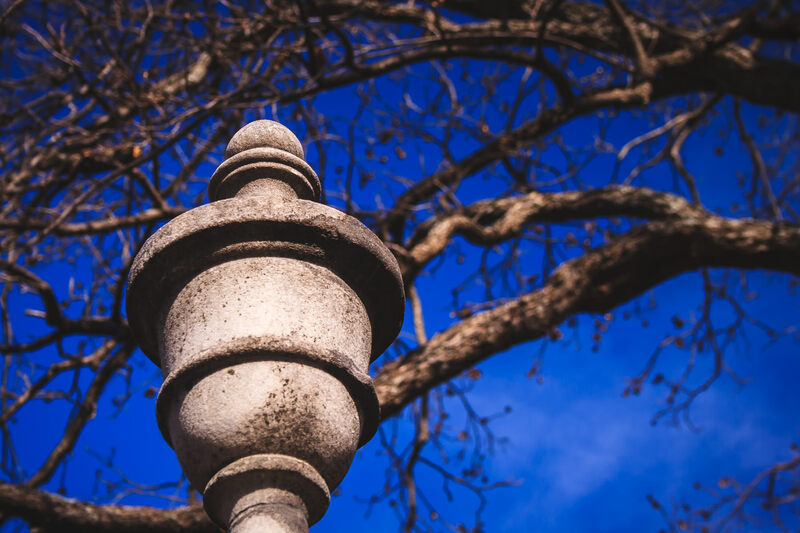 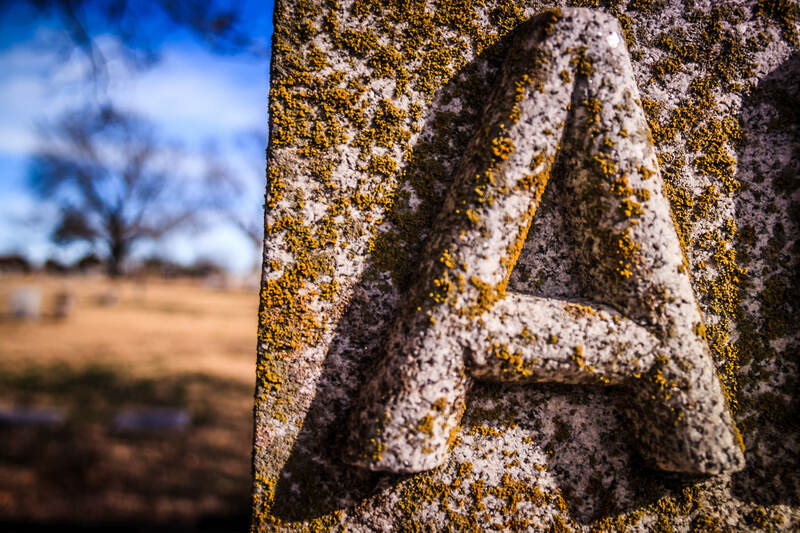 A decorative element atop a headstone at the historic Pecan Grove Cemetery in McKinney, Texas. 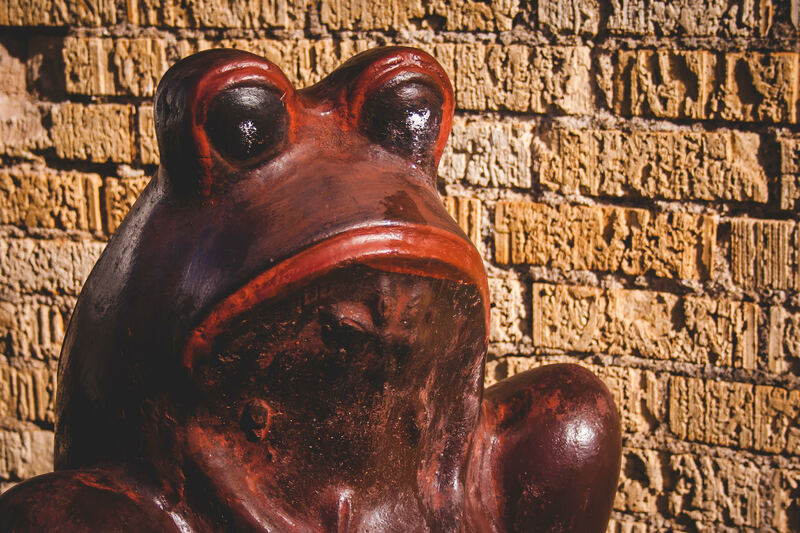 A ceramic frog in McKinney, Texas. 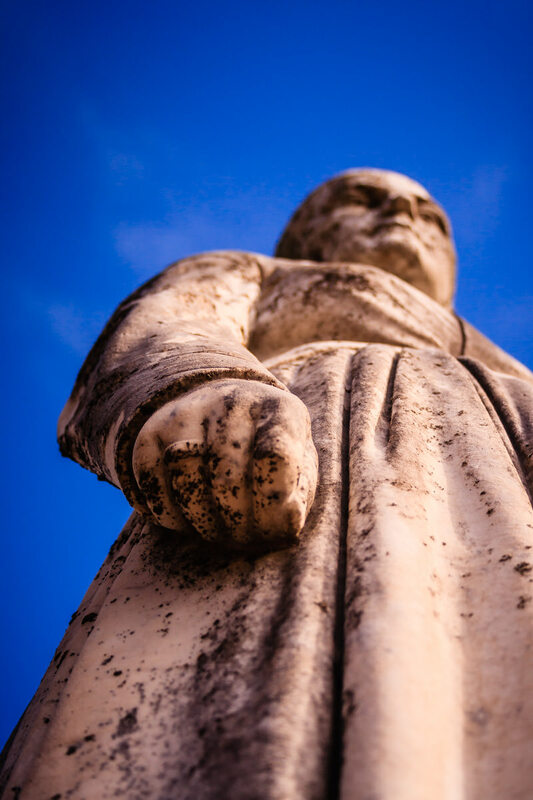 The hand of a statue at Pecan Grove Cemetery, McKinney, Texas. 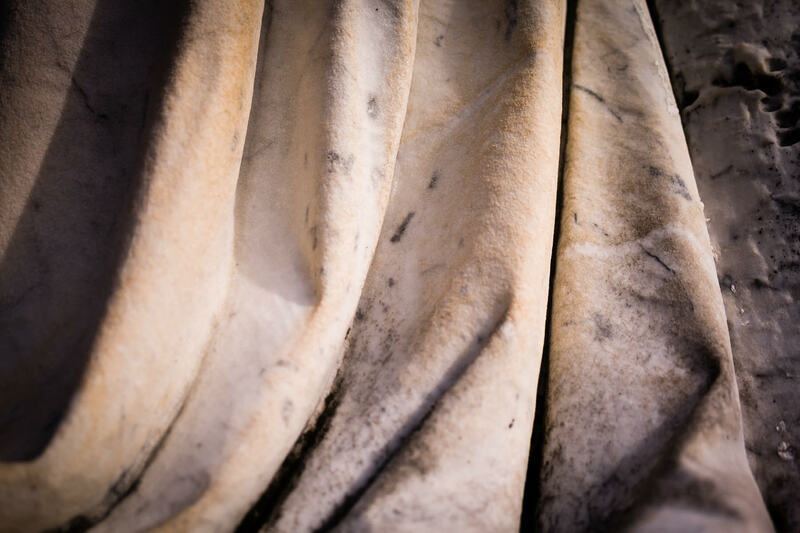 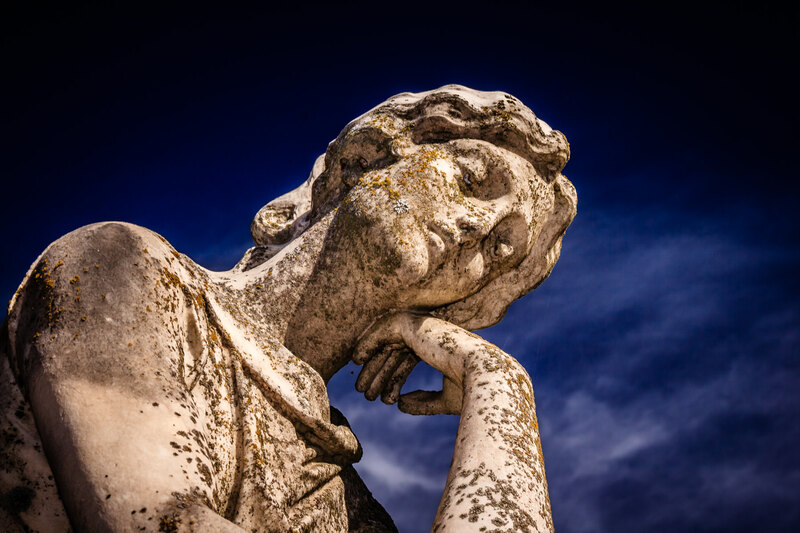 Detail of a statue at Pecan Grove Cemetery, McKinney, Texas.